It’s game day. Your young athlete has been practicing for this day for a long time. To ensure they play their best they need the proper fuel. What are the best healthy snacks for kids and young athletes? And when should they be eating them? The crucial times to fuel up are before, during and after the game. According to Kidshealth.org, the best pregame snacks are high in protein and carbohydrates. This gives your young athlete the energy they need to perform throughout the game. We all know some kids can be picky eaters. That means you need food that’s both healthy and nutritious. Try portable peanut butter packages. With these, your picky athlete can mix whatever they like in the peanut butter. Whether it’s pretzels, cheese sticks, bagels or fruit, they obtain the energy they need while eating a snack they love. If you are looking for healthy snacks to make yourself, a personal favorite snack of mine is ants on a log. Simply spread peanut butter on celery sticks and sprinkle raisins on top! Just be sure to give your young athlete one or hours before the game to digest. During halftime or between innings is the perfect time for a quick, healthy snack on the go. The best snacks for halftime are ones that are easy to eat and easy to digest. Cheese sticks, low-fat popcorn and trail mix make for the perfect boost of energy when your athlete needs it most. The great thing about these snacks is that they receive the nutrition they need while enjoying snacks they want. Every kid (and adult) loves to peel strips of cheese off the stick. The M&Ms sprinkled in trail mix hide the fact that they are also eating energy packed nuts and raisins, which fuels them in a fun way! The game’s over. Your young athlete walks off the field feeling accomplished because they played their hardest. And now it’s time to reward them with snacks they will love. Often, finding healthy snacks for teens can be a challenge. You want to give them apple slices, but they want potato chips. And after a game, when they have worked so hard, it’s ok to give them both. You can still make this relatively healthy by offering them baked potato chips, rather than the usual greasy ones. Other great options include protein shakes and bars. Teenage bodies develop at such a fast pace that they need the extra protein to rebuild their muscles after games. These snacks are a great middle ground between healthy and fun. There are a ton of healthy snack ideas that strike a balance between fun and healthy. 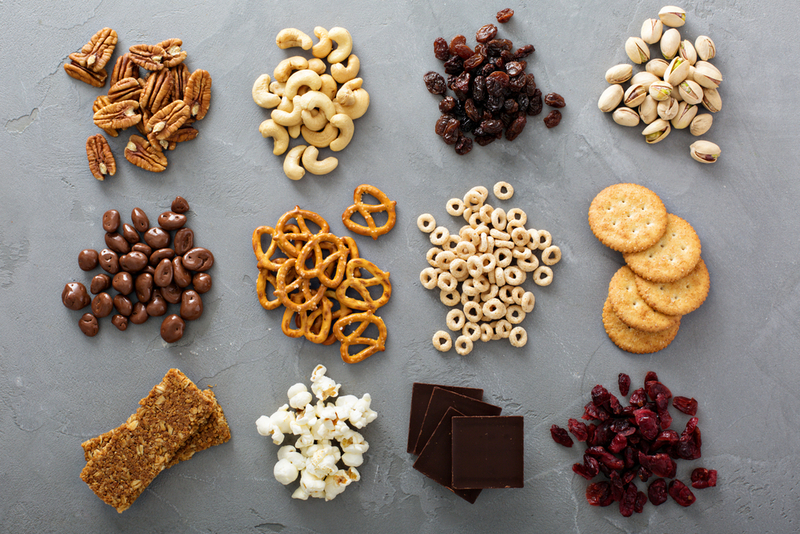 Try puffed rice corn, whole wheat pretzels, squeezable applesauce and granola bars just to name a few. With so many creative, tasty, healthy snacks out there, snack time has never been more fun!